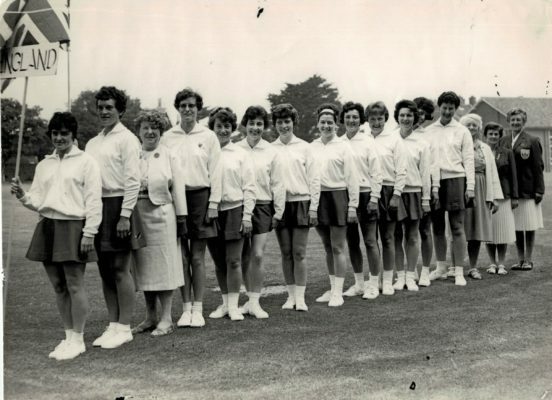 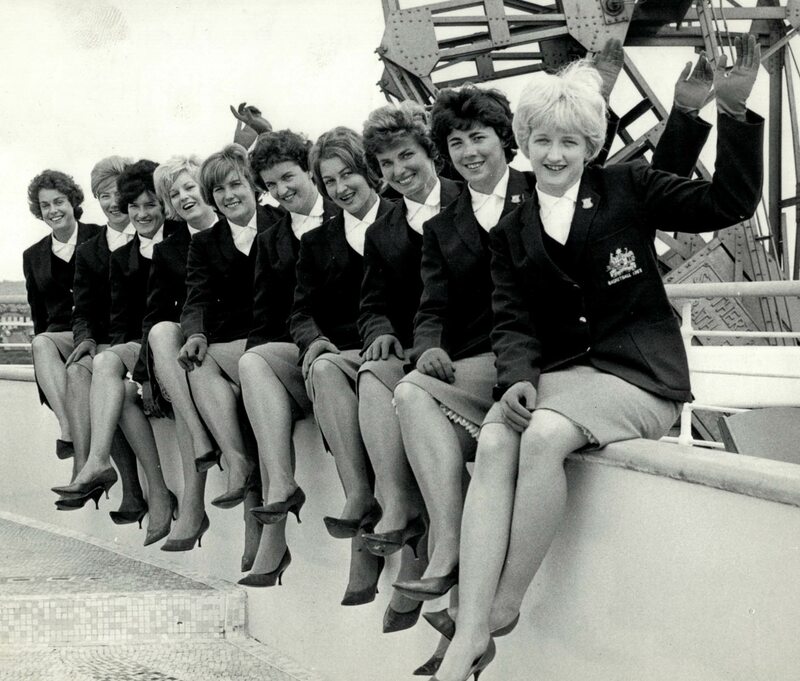 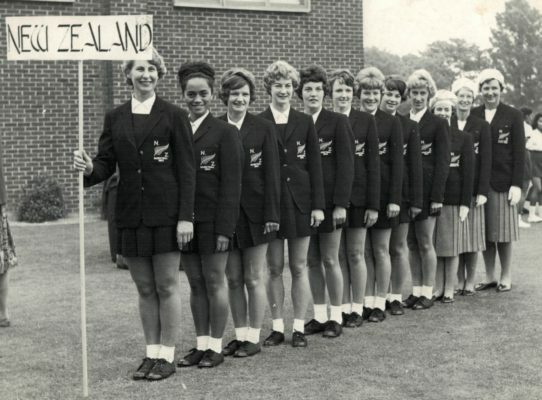 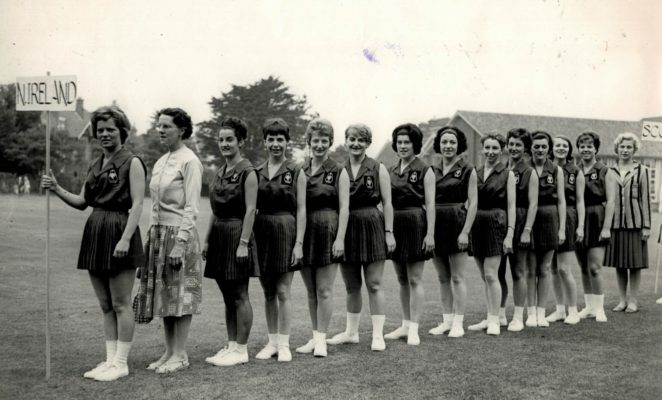 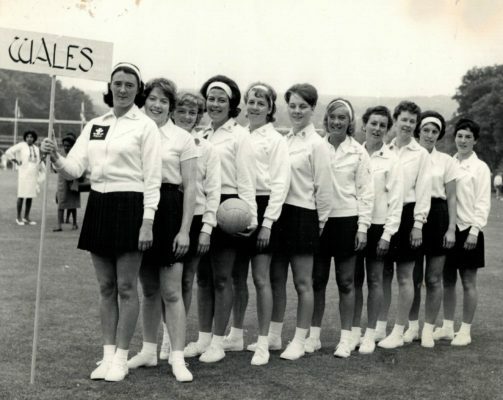 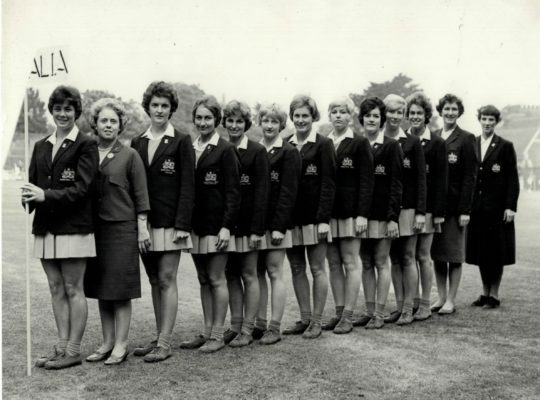 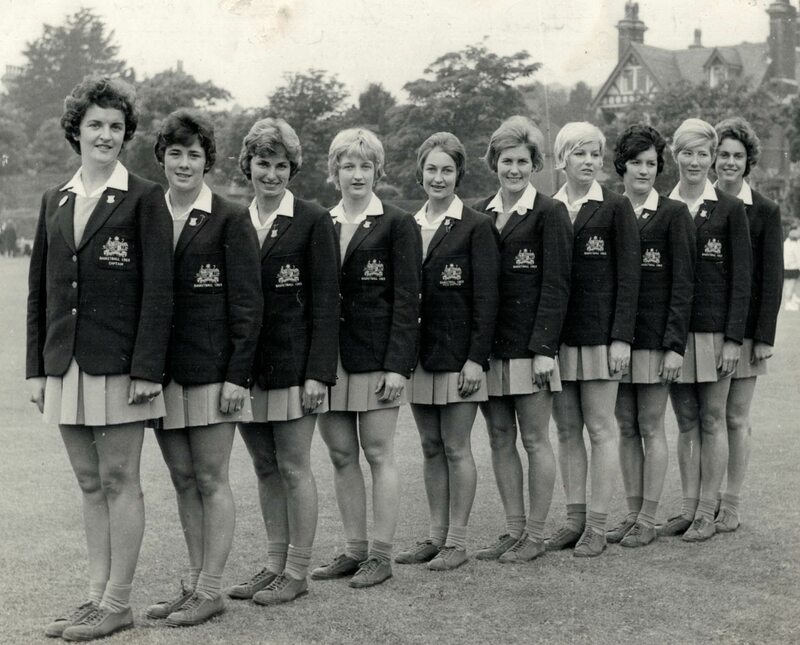 New Zealand Squad with their star scorer Colleen McMaster, seventh from the left, with 313 goals in six matches. 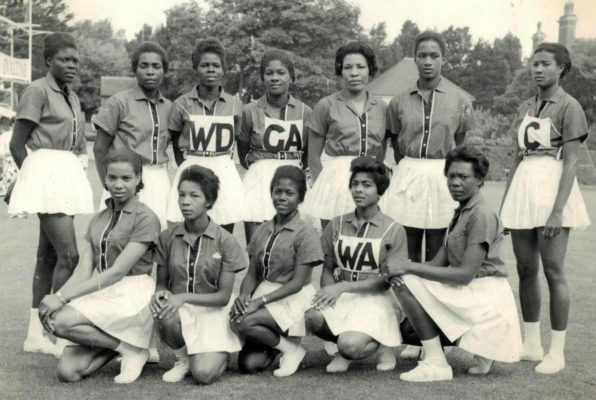 West Indies Squad representing the other Caribbean nations apart from Trinidad and Jamaica. 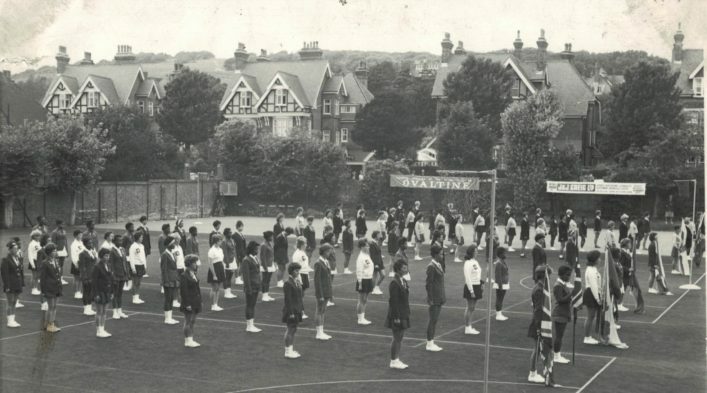 All the teams line up for the 1st World Tournament, Eastbourne. England shooter, Annette Cairncross, right, in happy conversation. 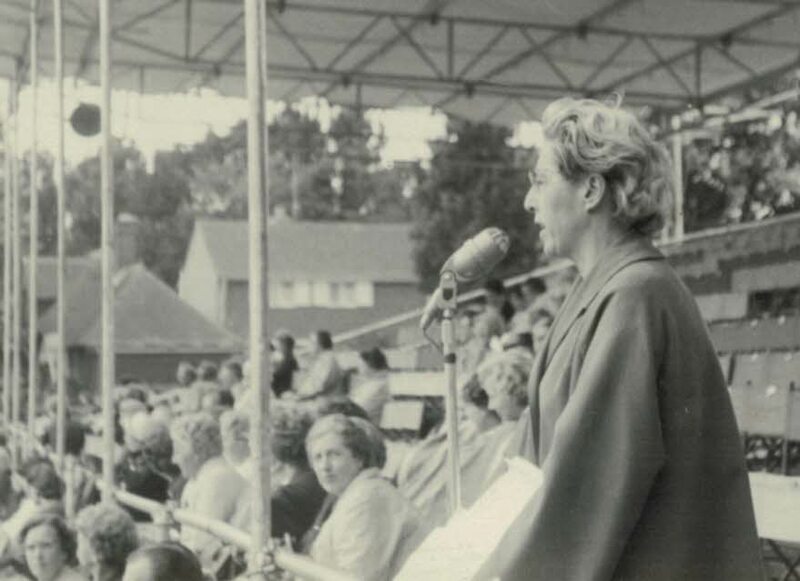 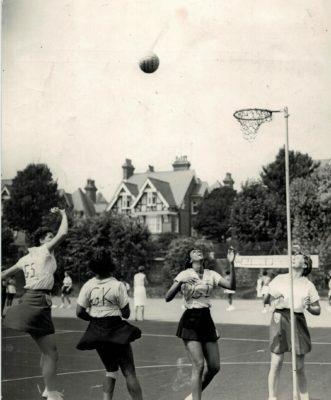 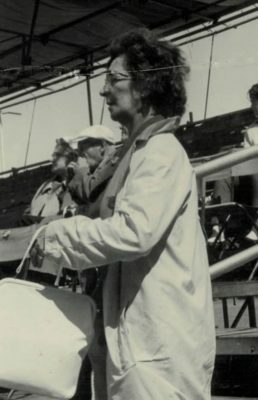 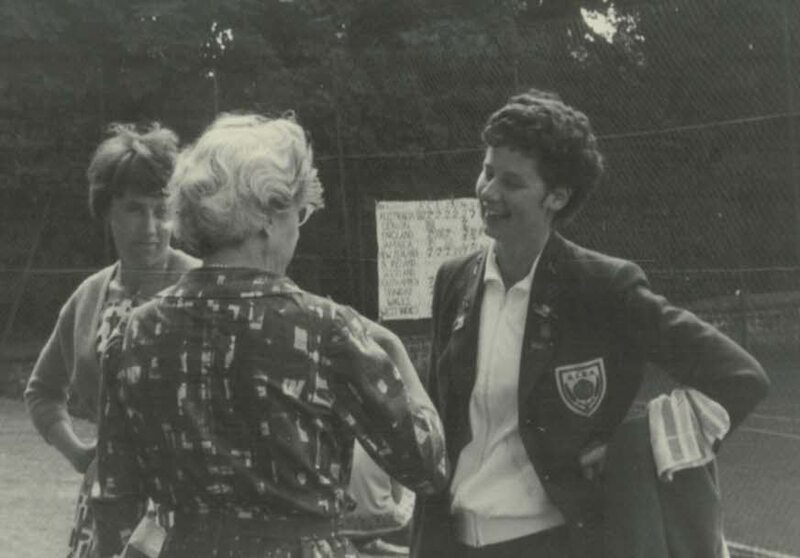 Rena Stratford, President of All England Netball Association and Honorary Secretary of International Federation of Netball Associations surveying the scene. BBC Caribbean Service with the captains of three Caribbean teams. 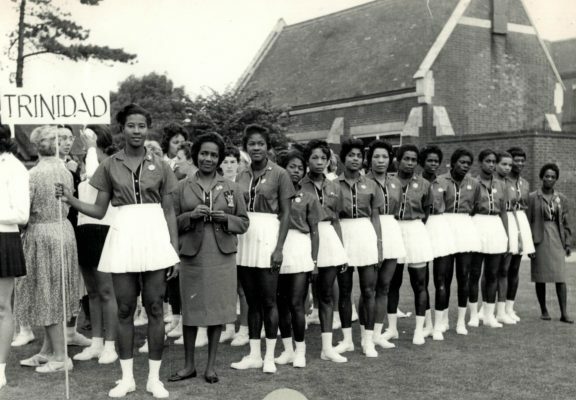 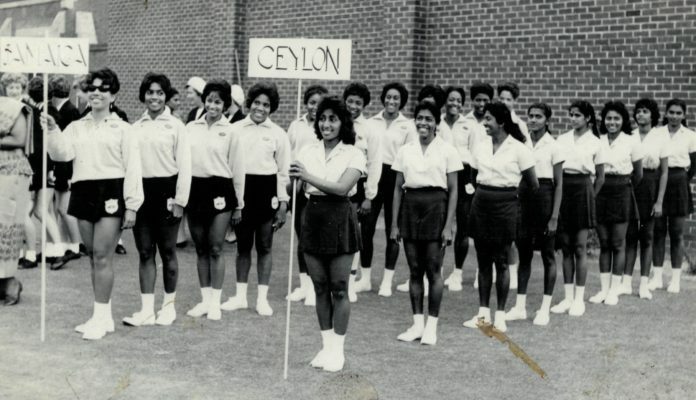 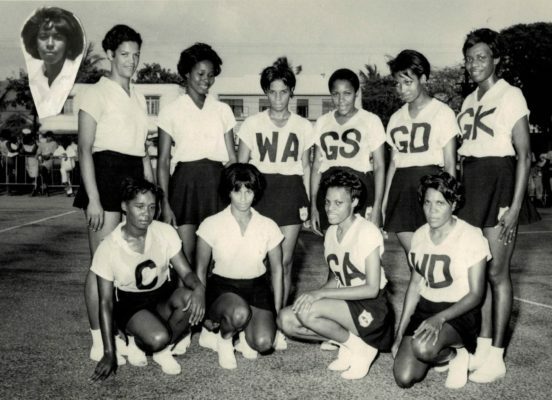 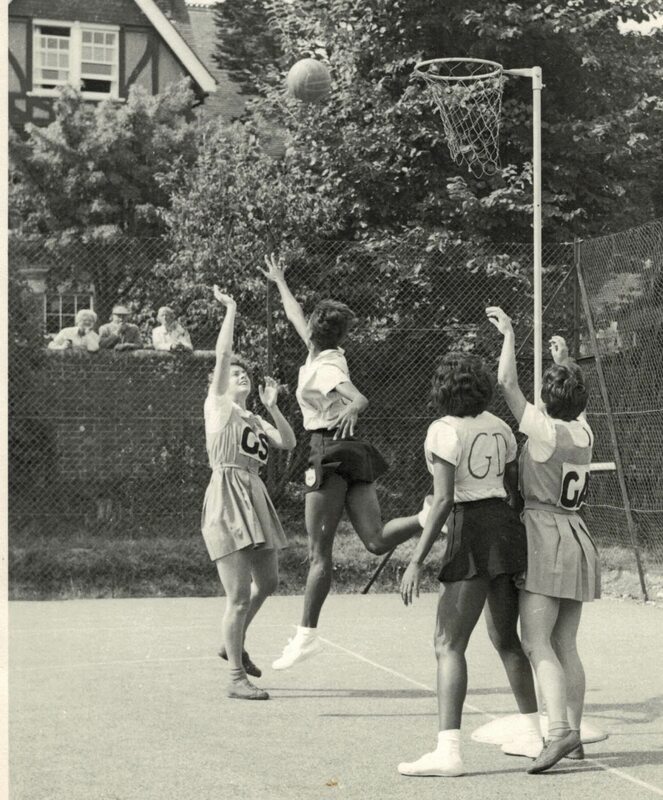 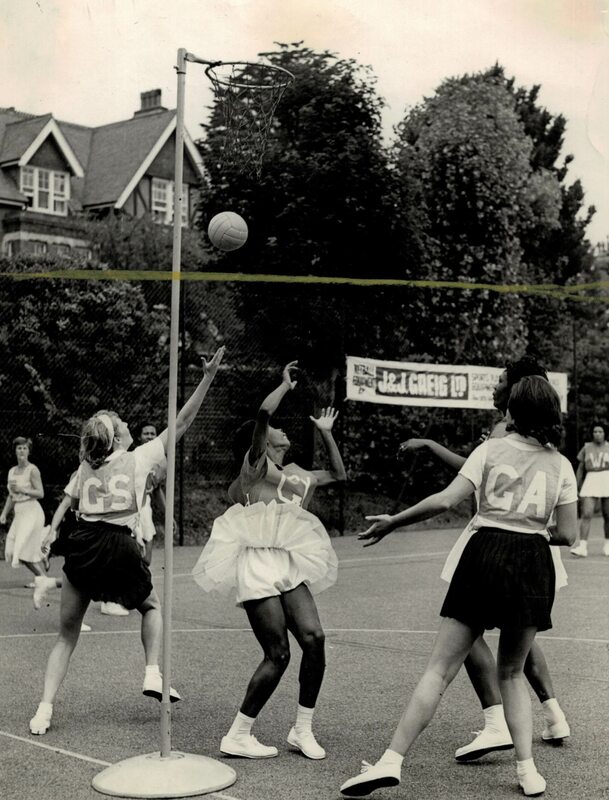 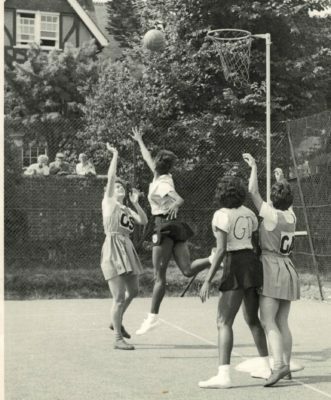 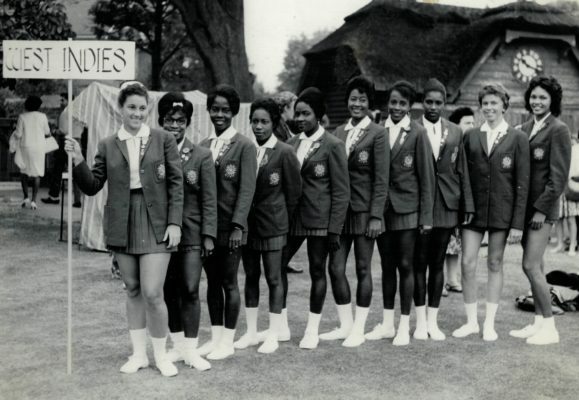 BBC Producer Alva Clarke with Mary Bulloch, Editor of the Netball Magazine, and (left to right) Barbara Jones (Jamaica), Phyllis Pierre-Walker (Trinidad) and Peggy Ince (West Indies). Spectators at the 1st World Tournament in Eastbourne. 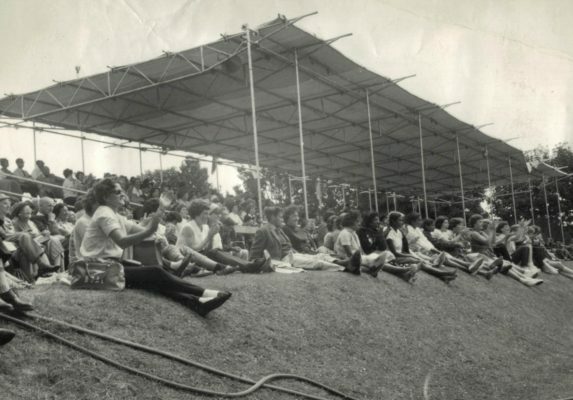 No plush seats here. 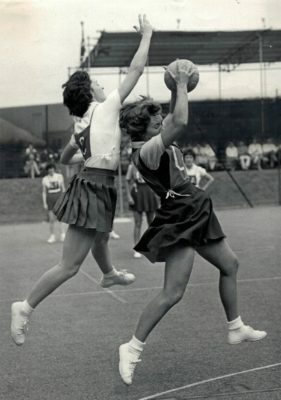 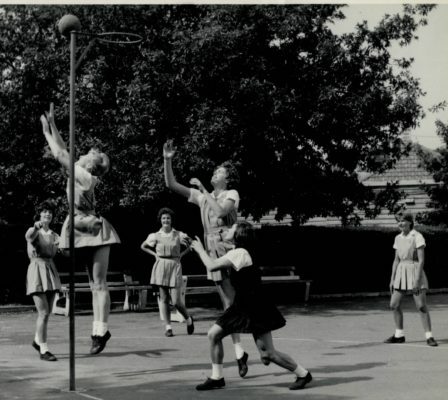 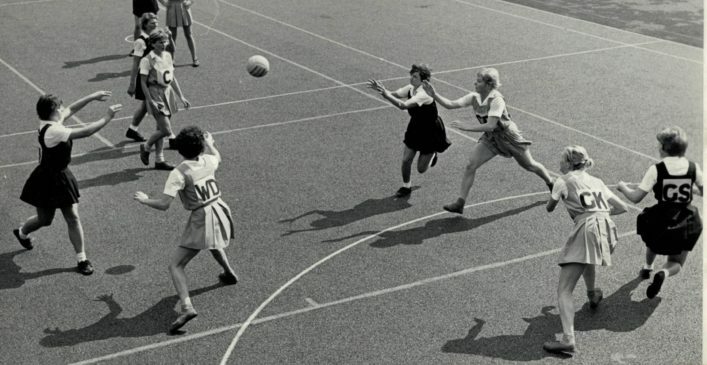 New Zealand (dark uniforms) playing Australia. Australia practice session. 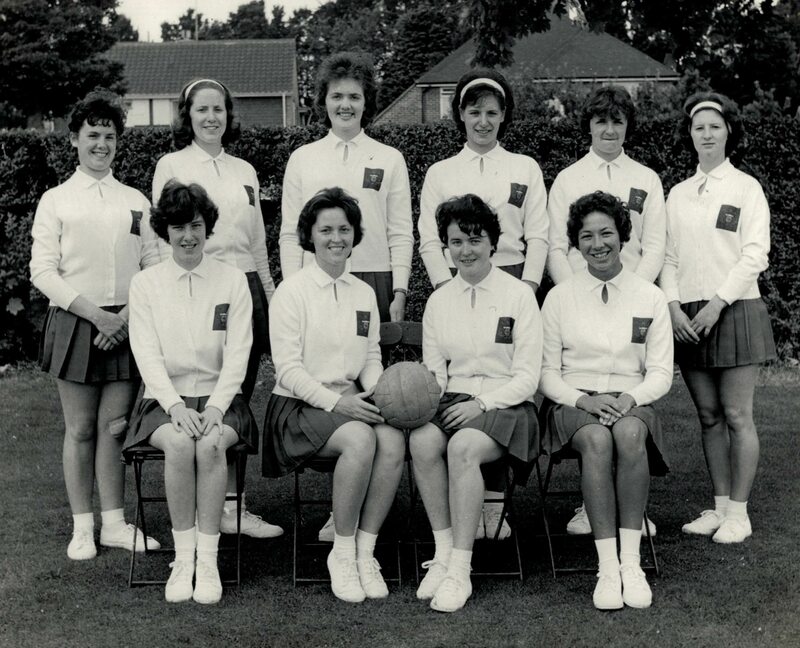 From the left in the light uniforms are Margaret Caldow, Wilma Ritchie, Joyce Brown, Jeanette McIver, and Rose Noseda, all from State of Victoria.